On this trip to Johor Bahru, I have decided to stay away from the main city and move further away from the noisy and bustling city. 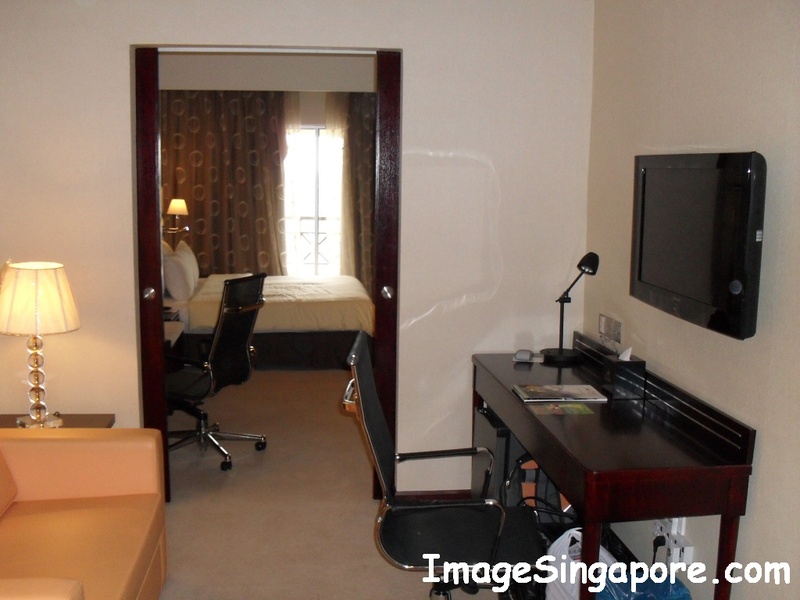 Doing my usual browsing in the internet a few days before the trip, I have decided to stay in Dorsett Hotel. 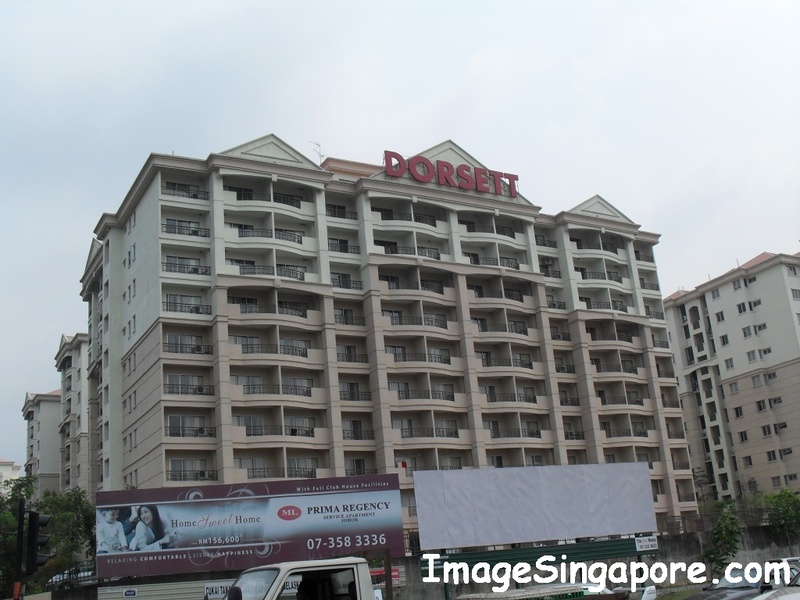 From the new CIQ in Johor Bahru ( Customs and Immigration ) , I took a cab to Dorsett Hotel. This hotel is situated in Plentong and the cab driver is not too sure of the location as well. But when I told him that it is next to TESCO Extra Mall, he immediately knows where is the place. So the important lesson is that it is important to identify the name of the shopping mall to the place you are heading. The journey took about 20 minutes and cost RM18/- on a meter taxi. I reached the hotel about 11 am in the morning. This hotel is unique because it is actually a condominium that has been converted into a hotel. So the hotel is part of a condominium development. I walked into the main lobby which looks small and the check in reception counter is small with 2 hotel staff manning the counter. I was told that the room was not ready and it will be available at about 2 pm. So I have 3 hours of time available and decided to visit the Tesco Extra Mall which is about ten minutes walk from this hotel. PS – if you want to know more about this mall, you can read my blog title – Tesco Extra Mall from my blog in ImageSingapore.com. At about 2 pm, I walked back to the hotel lobby and is given my room keys, which is in fact 2 magnetic cards. I was staying in the top floor. I am staying in the Suite King Room and the corridor that is leading to my room is open concept, just like you are walking towards your unit home in a condominium. The corridor is spacious, bright and windy. I opened the door of my Suite King room and the first thing I saw was a toilet to my left and the living room right in front. My first impression was that the bathroom was spacious and clean; the living room though it looks small with a small 2 seater sofa, a long wooden desk and surprisingly a 32″ LCD TV mounted on the wall. There is a sliding door that separates the living door and the main bedroom. The bedroom looks spacious and well designed. The King size bed sits prominently in the room. The bed is firm and there are 4 pillows available. There is another 32″ LCD TV mounted on the wall. I notice that there is another attached bathroom. The bathroom looks similar in design and size and it is very clean. 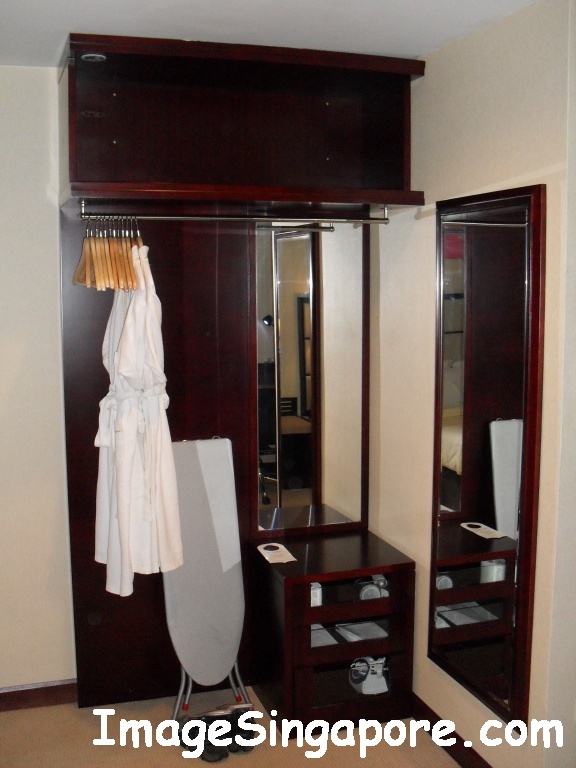 There is an open concept wardrobe and a chest of drawer just outside the bathroom. I saw a ironing board and inside the drawer is a hair dryer and a iron. Very few hotels provide an ironing board and iron, so this is very thoughtful as clothes do get crease when you packed them in the luggage bag. Other features in this Suite King room includes a fridge which is totally empty. This is good as you can stock up all your favorite food and drinks which you can buy them from the mall nearby. There is also a small safe deposit box, a kettle and free tea and coffee bags, 2 bottles of complimentary mineral water and your own balcony.I think Dorsett Hotel has provided almost everything that I need in this suite room. 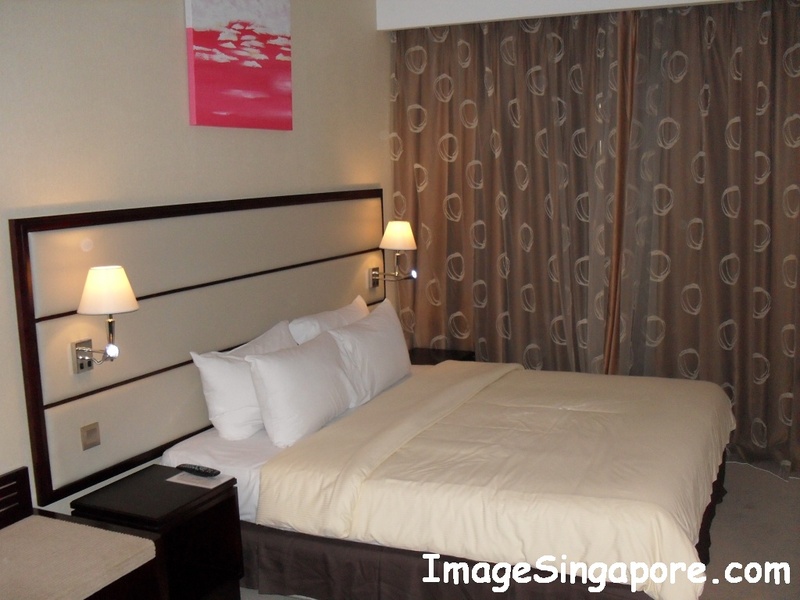 I have a pleasant stay in Dorsett Hotel Johor Bahru and will certainly be back when I need a short break again. If the hotel can hold promotion on the prices of the rooms, I think that will attract more visitors to this hotel. 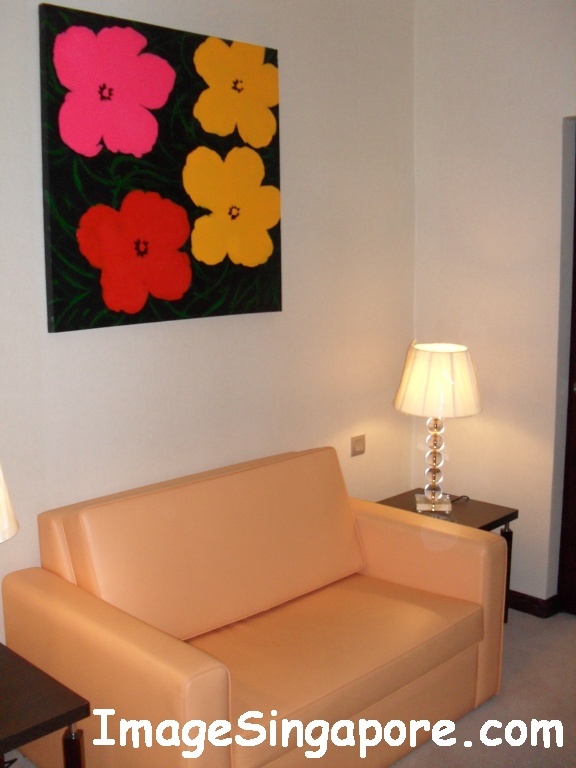 The hotel should looked into earlier check in time for guests – I think 1 pm in the afternoon or earlier would be ideal. 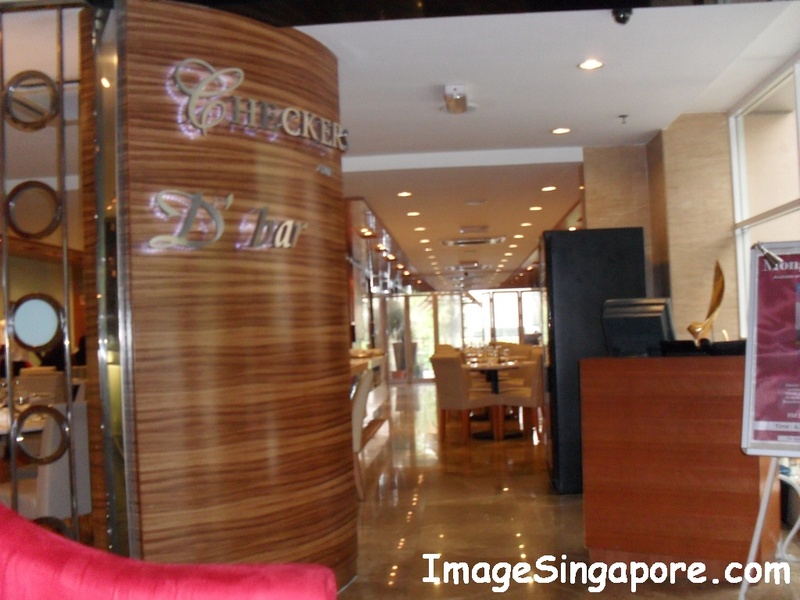 There are hotels in Johor Bahru that allow check in before 12 noon as long as the rooms are available.